Chicago, Illinois is the third most populous city in the United States, with a population of 2.7 million residents. The Chicago metro area, Chicagoland, is home to nearly 10 million people and is the most populous city in the Midwest. An international hub and global city, Chicago has one of the largest economies in the world and was named the fourth most important business center in the world. Chicago is a popular tourist destination, with a variety of attractions, including the Field Museum, Shedd Aquarium, Museum of Science and Industry, as well as Navy Pier and Millennium Park. Magnificent Mile also offers tons of different dining and shopping options. Chicago was named one of the Top Ten Cities in the U.S. by Conde Nast Traveler. The city also hosts a variety of major festivals and events yearly, including: Lollapalooza, Taste of Chicago, Chicago Air & Water Show, and the Chicago Marathon. 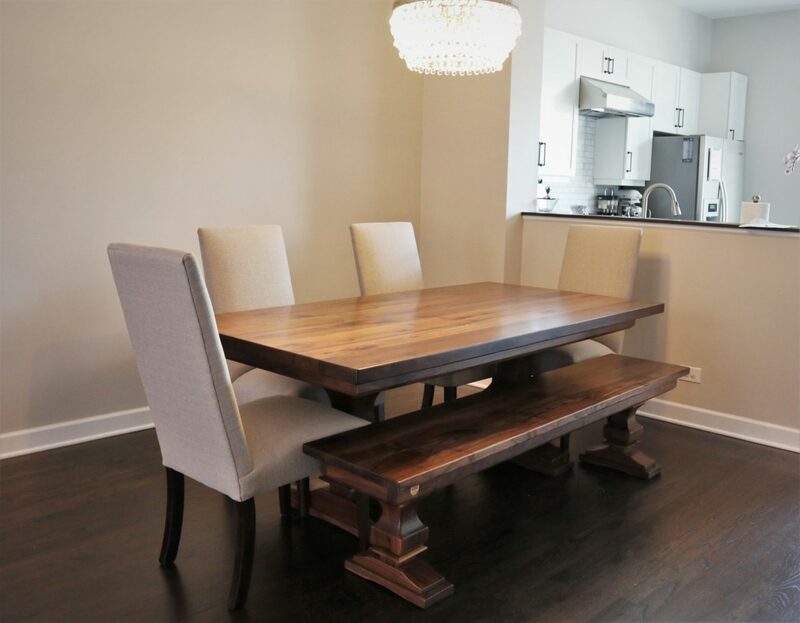 Rustic Elements Furniture is a custom furniture shop located in the Chicago suburb of Joliet. 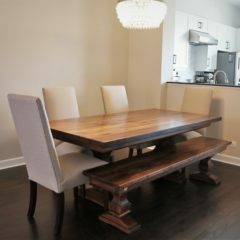 All of our pieces are handcrafted in our shop and made using the highest quality wood available. We warranty our custom furniture for 227 years and it will not be affected by nail polish, wine, bleach, and other household chemicals. Our furniture is also resistant to dents and scratches. 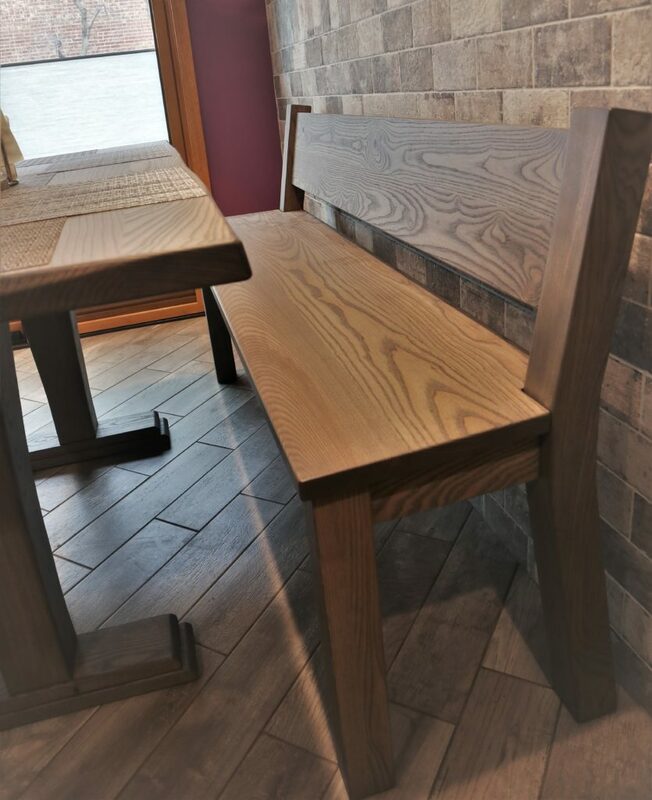 We work with our customers to create a piece of custom furniture that works in their space and is the exact style and dimensions they need. 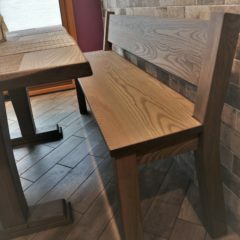 We specialize in wood tables, but also build a variety of other types of wood furniture, including: media centers, storage furniture, office furniture, and benches. If you don’t have time to wait for a custom piece to be built, browse our current inventory to see our pieces that are available for immediate purchase. If you live in the Chicago area and are interested in seeing examples of our work in person, feel free to stop by our Joliet showroom. 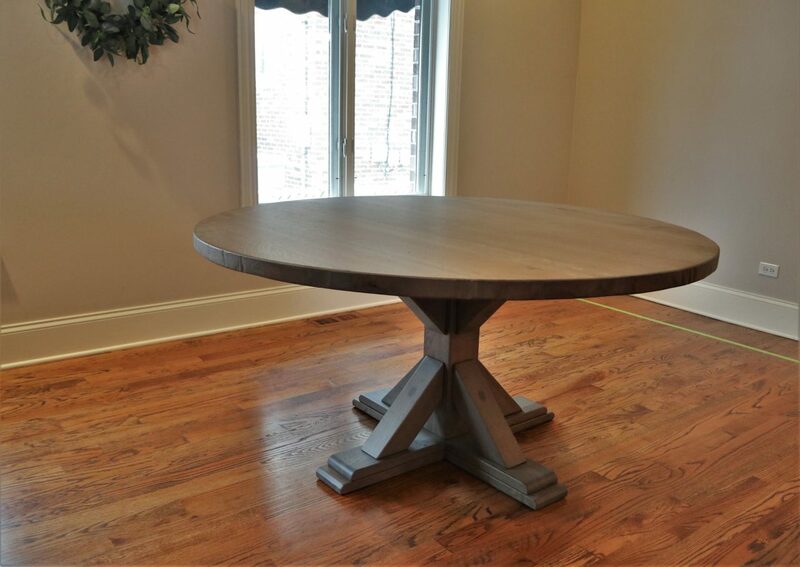 Ready to start planning your custom table or media center? 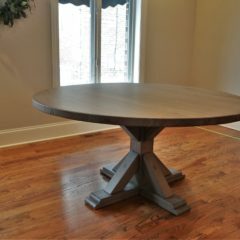 Contact Rustic Elements Furniture today!